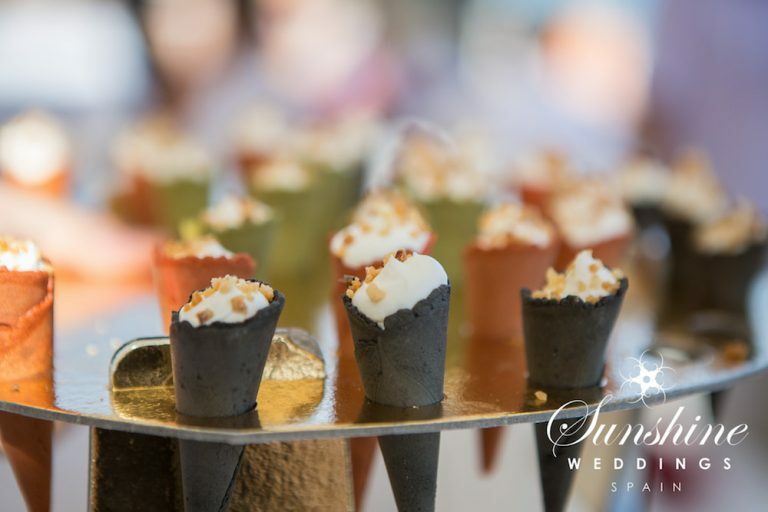 Our lovely Scottish couple, Linsey and Craig opted for a glamorous Marbella beach club wedding where touches of bright pink made it a colourful affair to remember. 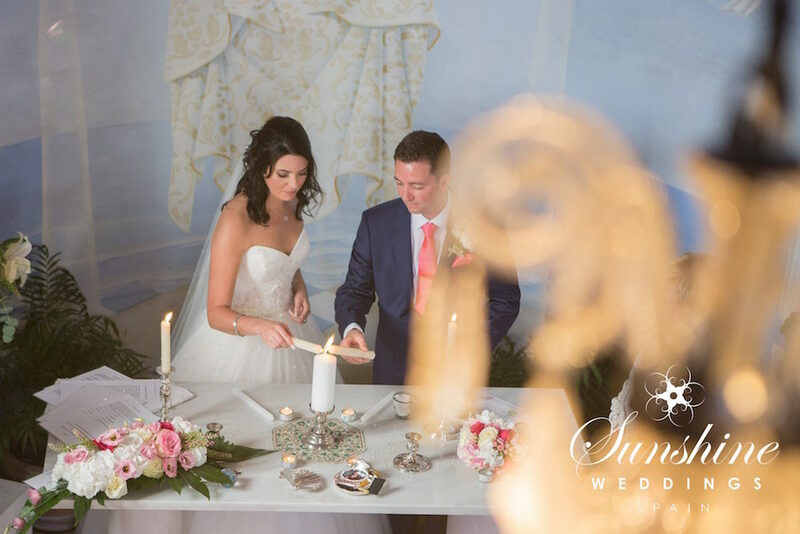 Linsey and Craig had been holidaying in Marbella for years and had always wanted to get married here. They knew the area very well and, let’s be honest, the weather was pretty much guaranteed to be better than their homeland. The day before their wedding family and friends took part in a keenly contested golf tournament. The first match was a family affair while the second was open to everyone. Craig won both games, much to everyone’s delight. Then it was time for celebratory drinks in a family run bar situated in the golf valley of Nueva Andalucia. Linsey and her bridesmaids enjoyed a girly morning getting ready with hairstylist Alex and make-up artist Liza. Alex created a loose, wavy, half-up style on Linsey, while the maids all sported matching soft plaited up-dos. Pink was definitely the theme of the day; the maids looked stunning in floor length, cerise pink gowns and the pink palette continued into the bridal bouquet with a mixture of baby and cerise pink roses. 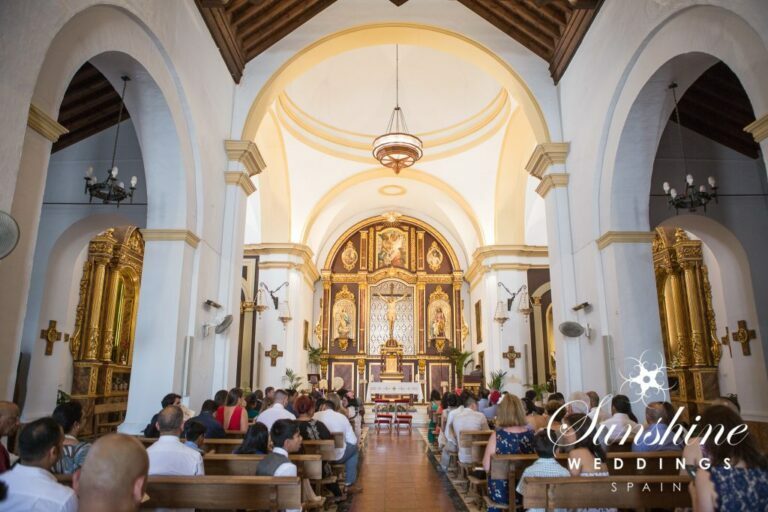 The ceremony took place in charming chapel located in the hills between Marbella and Puerto Banús. The altar was dressed with large floral displays which contrasted beautifully with the egg blue wall mural. Craig had opted for two best men and the three of them looked like they had just stepped out of the pages of GQ Magazine in their sharp, navy blue suits. In part two, Linsey is about to walk down the aisle when something very unexpected happens. Find out next week what just what stops Linsey entering the chapel.